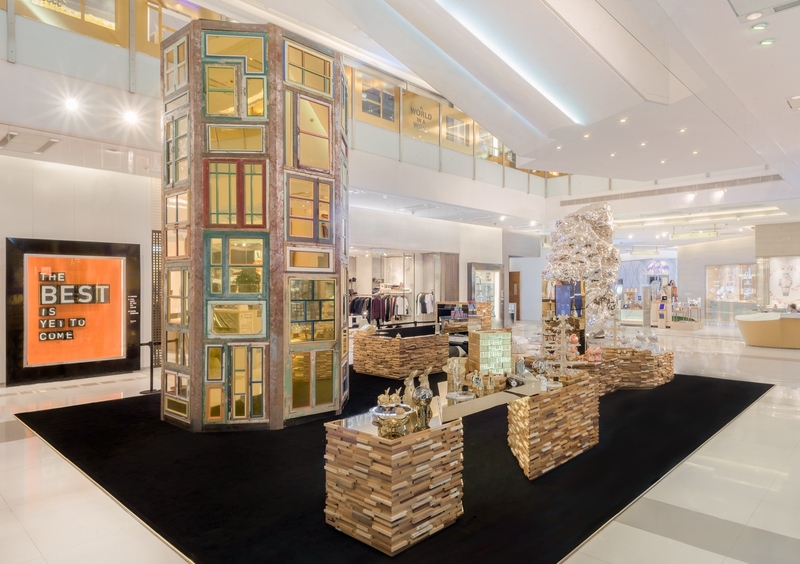 From luxury brands, markets to Hong Kong's very own independent boutiques, there's a lot of shopping to do through in our city. 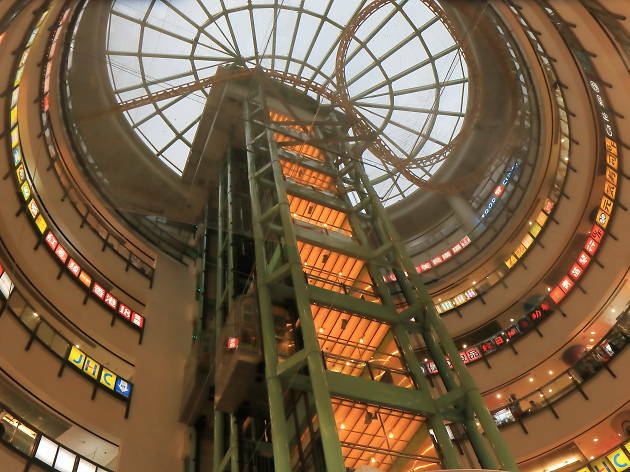 Some might say Hong Kong is literally comprised of malls after malls, however no matter how numerous, each mall is unique in its own way just waiting to be shopped and explored. 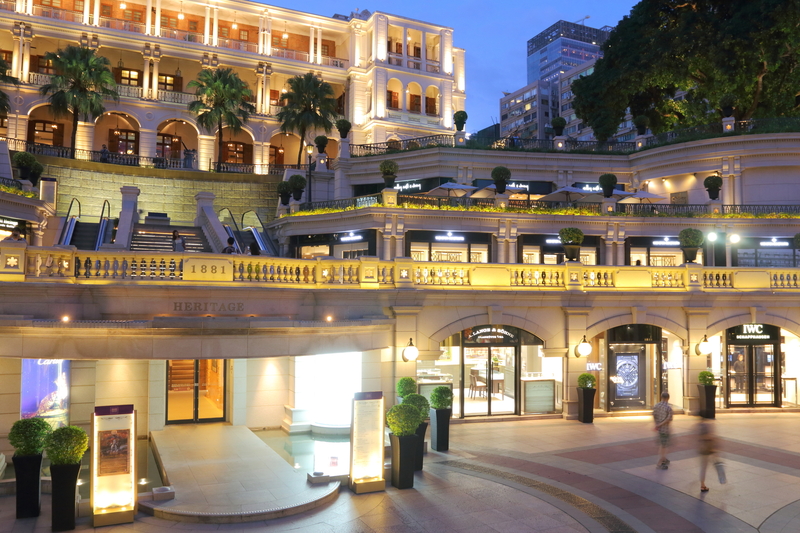 Enjoy the finer things in life at 1881 Heritage, Tsim Sha Tsui’s elegant shopping space that was once home to the Former Marine Police Headquarters. 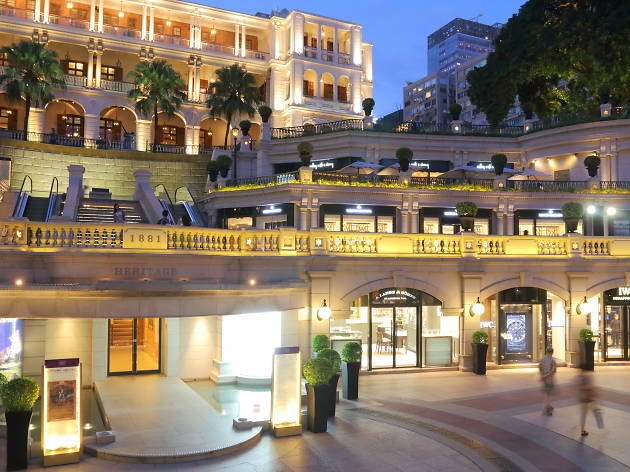 Shop your day away at this 120-year-old building featuring luxury shops, fine dining, a heritage hotel and culture hall where you can learn the history of the site. 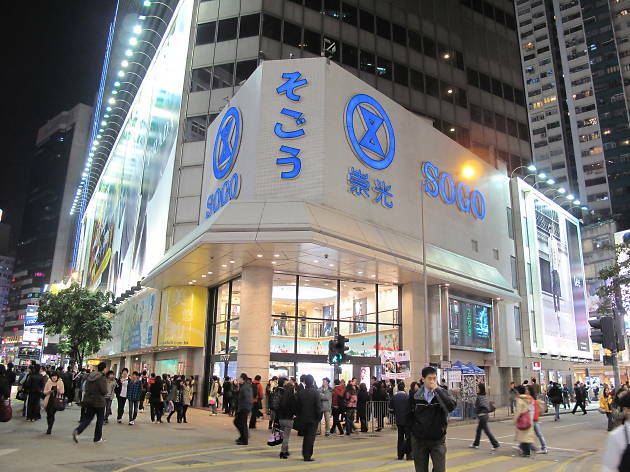 Just steps away from the Star Ferry, it’s the perfect place to start exploring the history of Hong Kong. 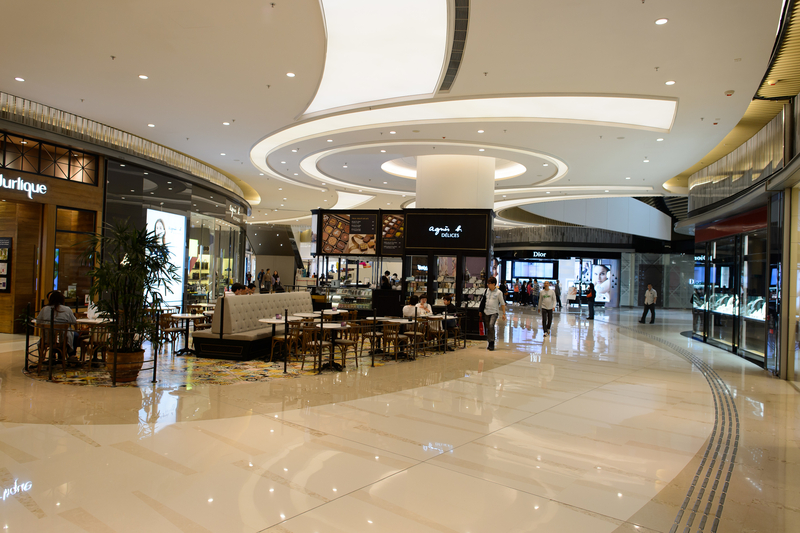 As the only established mall in the area, Dragon Centre is a labyrinth of tiny boutiques, massage parlors, eateries and snack stores. 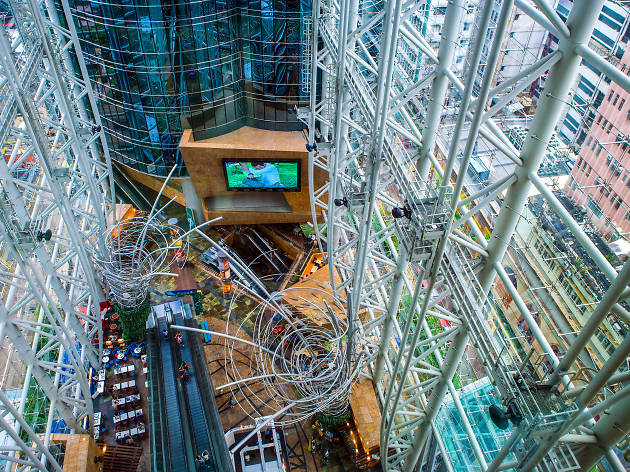 Fun fact: it is also the only shopping mall in Hong Kong with a now defunct indoor roller coaster installed on the top floor. There's also random performances on the first floor if you're into wanting obscure and upcoming singers do their thing. 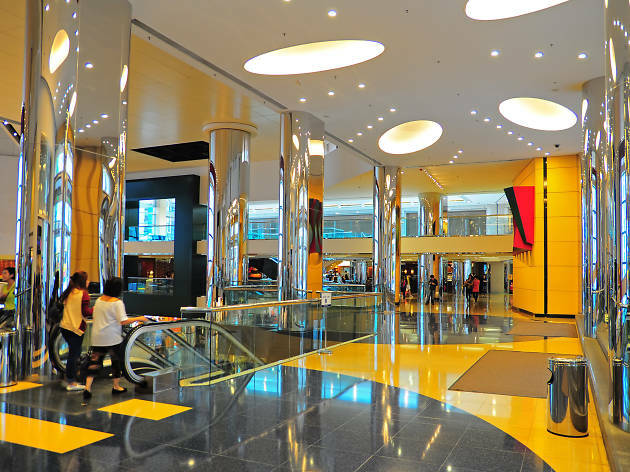 Located in West Kowloon above Kowloon Station, Elements is a convenient spot attached to the Airport Express, a plethora of apartments as well as the ICC – Hong Kong’s tallest building. 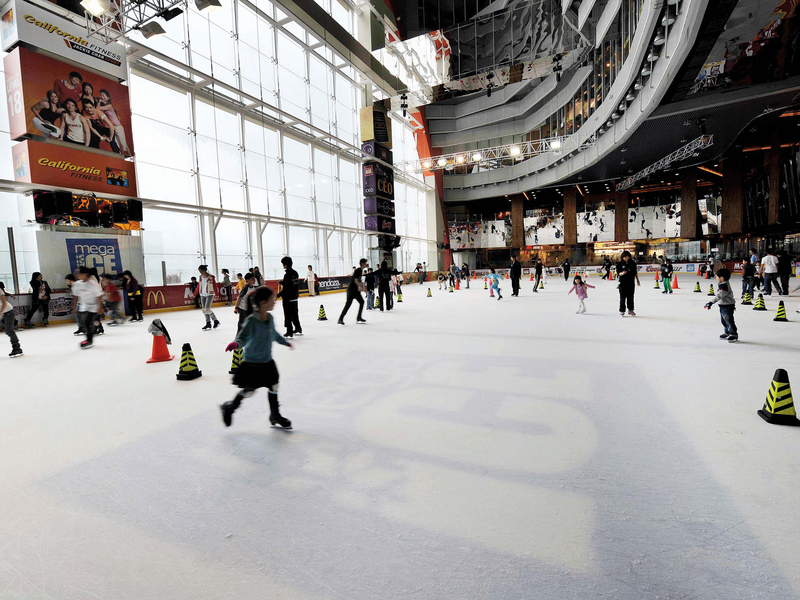 Shop till you drop at the wide range of luxury stores or make use of their indoor skating rink. 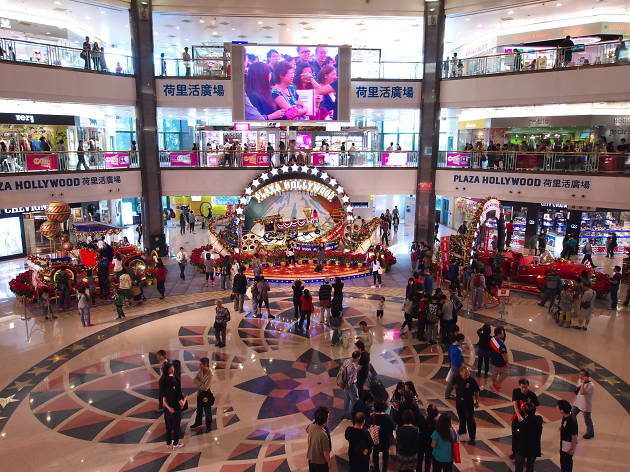 Our city has its fair share of massive shopping malls, but Festival Walk stands as one of the biggest. 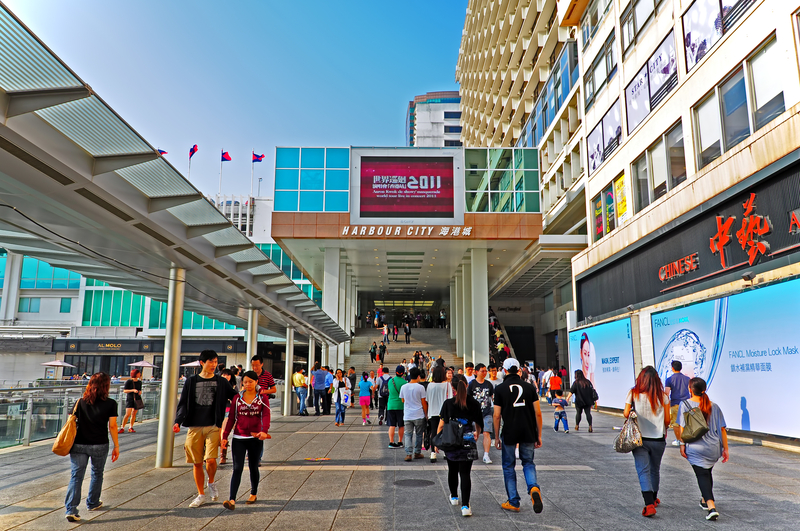 With a skating rink on the top floor, a cinema, large glass windows offering views of Lion Rock and convenient connections to the MTR and KCR light rail, this Kowloon Tong mall is a behemoth. 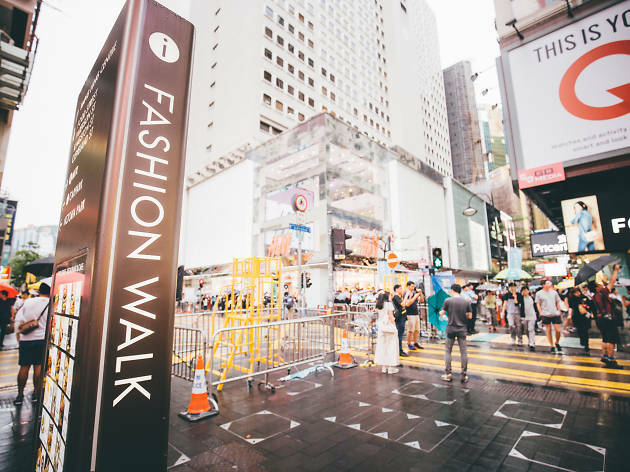 There’re more than 200 retail shops and restaurants to pick from covering high-end brands and local favourites, making Festival Walk a mecca for shopaholics. 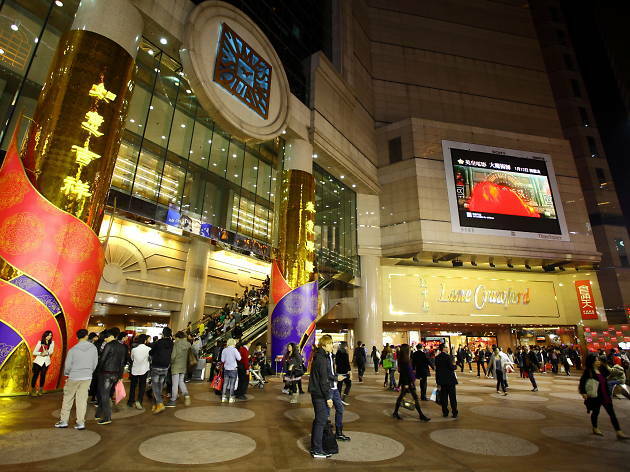 Harbour City is undoubtedly the largest mall in Hong Kong and sprawls along the Kowloon side of Victoria Harbour where you can catch the Star Ferry, walk along the Avenue of Stars and explore Tsim Sha Tsui. 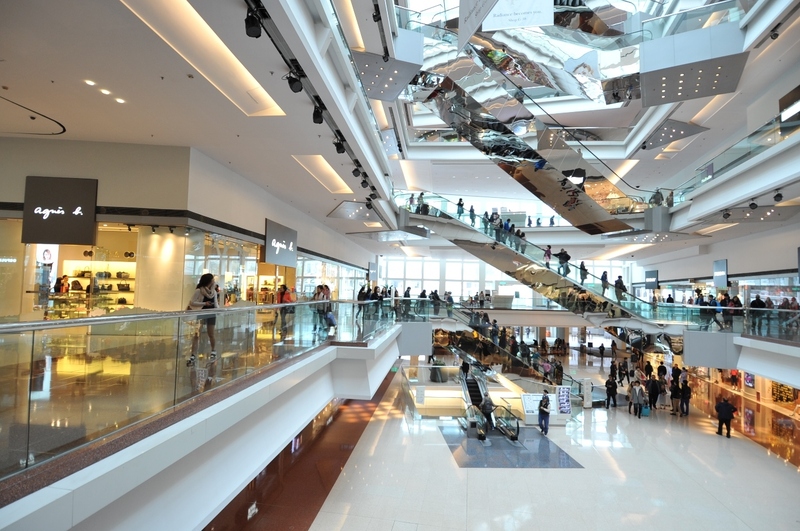 Whatever you want, you can probably find it at Harbour City. 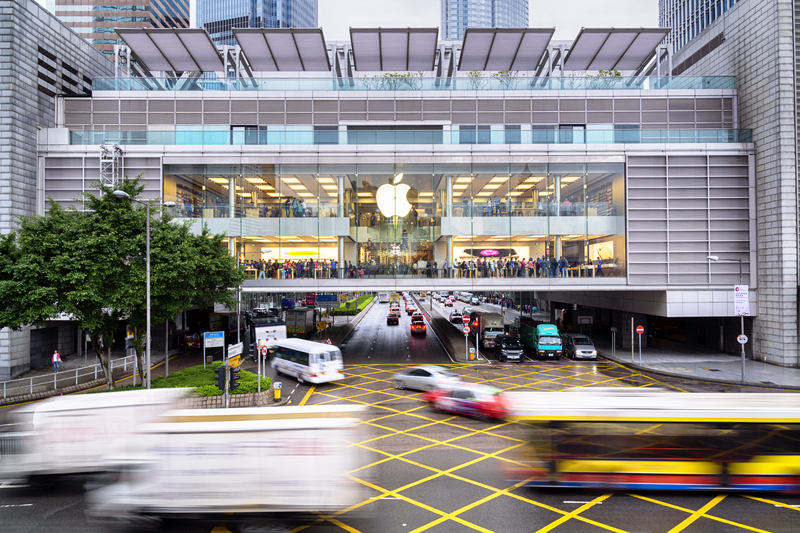 From dining, shopping to hotels, this mall has all your bases covered for the perfect day out in Hong Kong. 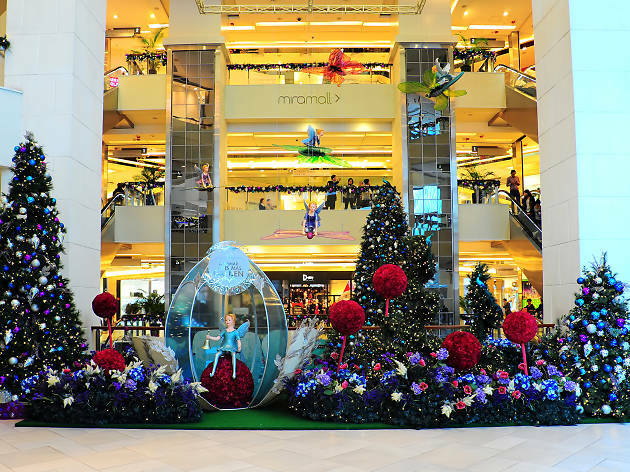 If you visit during any holiday season be sure to check out the stunning displays out front for the perfect photo op. 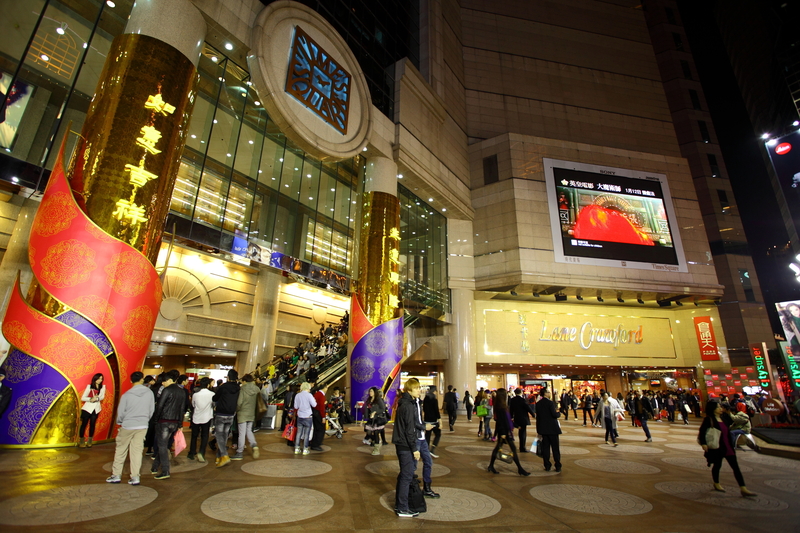 Attached to the Tsim Sha Tsui MTR station, the mall is a convenient spot to start exploring the area. 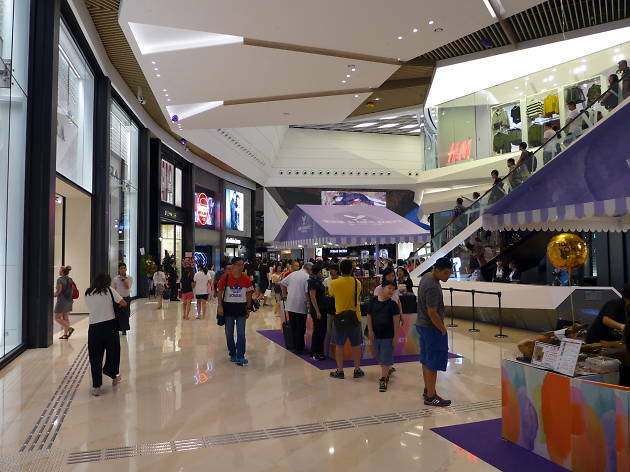 From retail, electronics and dining to a cinema – iSquare has just about everything to keep you well entertained. 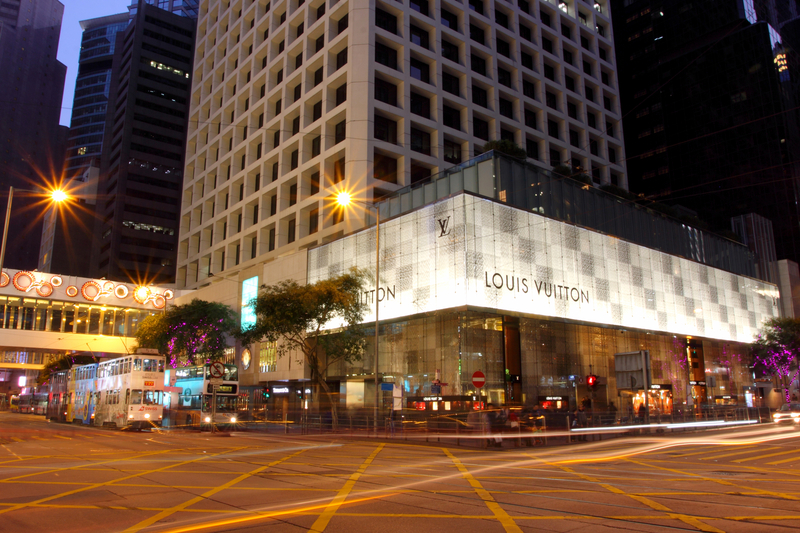 Head on up to the top of the mall for a stunning view of Victoria Harbour while you’re at it. 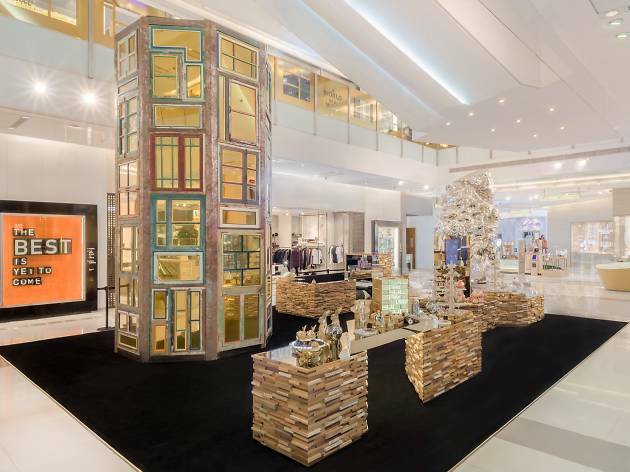 A hybrid between a retail mall and an art museum, K11 is a unique platform showcasing pioneering artwork created by Hong Kong artists. Founded by Adrian Cheng in 2008, the art mall collaborates with the non-profit K11 Art Foundation to bring innovative projects and out-of-the-box exhibitions by our local creative talents. 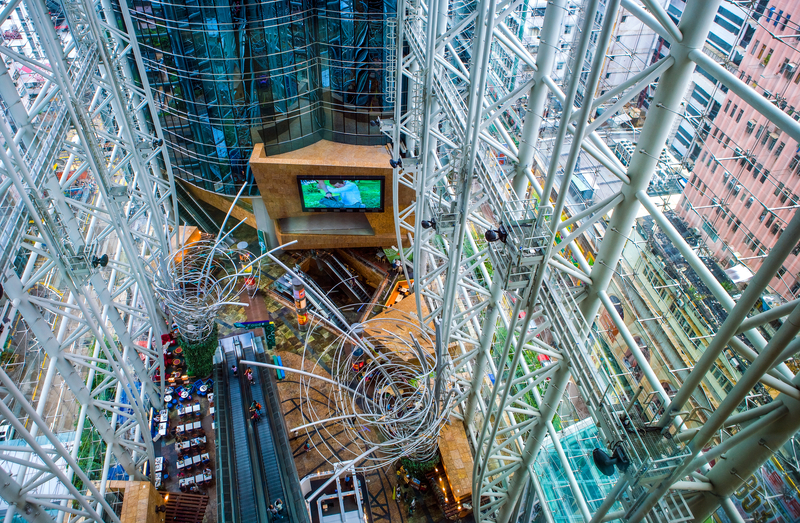 Spend some time exploring the bustling area of Mong Kok at Langham Place. 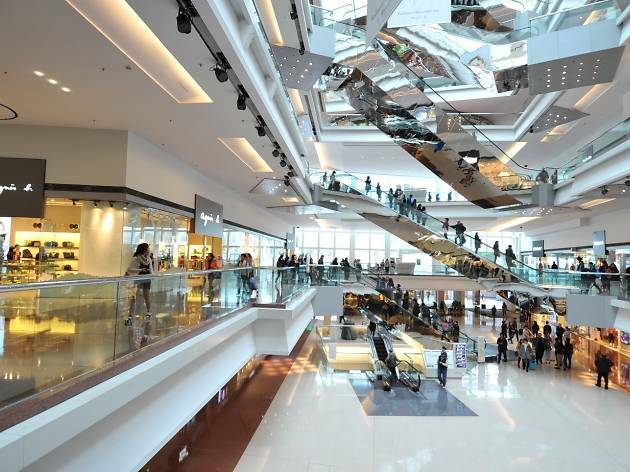 With so much to offer, this mall is packed with great shopping for any budget, including a wide array of food and café selections, a gym and a movie theatre – if you’re bored, you’re not looking hard enough. Keep your eyes open for the mall’s events and performances as you might catch one of your favourite performers on stage. 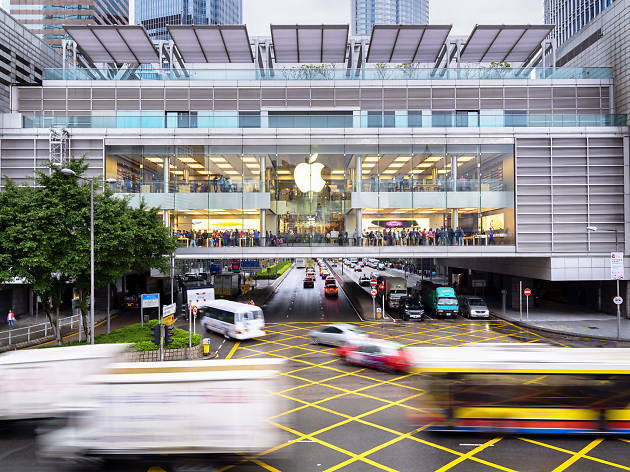 As you can tell from the name, this shopping mall is seriously mega and the biggest one in East Kowloon, boasting 1.1 million sq ft and spanning 19 stories. 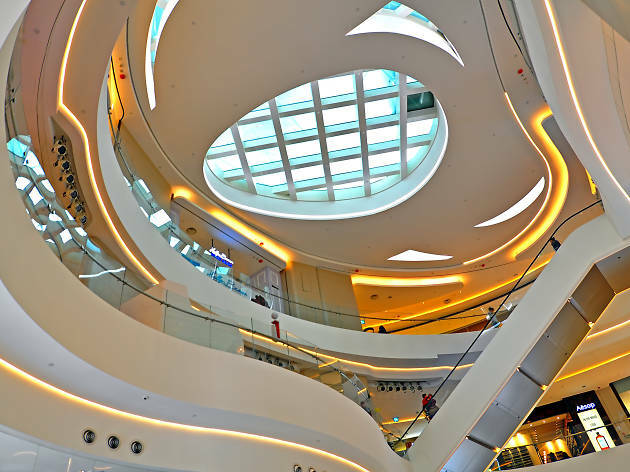 Housing an international-sized ice rink that previously hosted Olympic qualifiers and local figure skating contests, a massive IMAX cinema and more than 60 stores, get ready for some serious shopping. 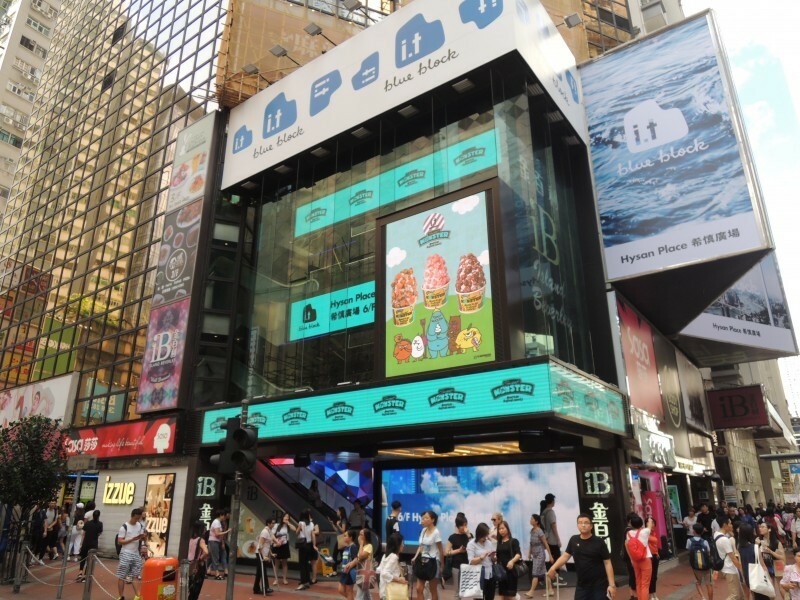 To make things even easier for you, there are free shuttle buses running between the mall and Kowloon Bay MTR Station. 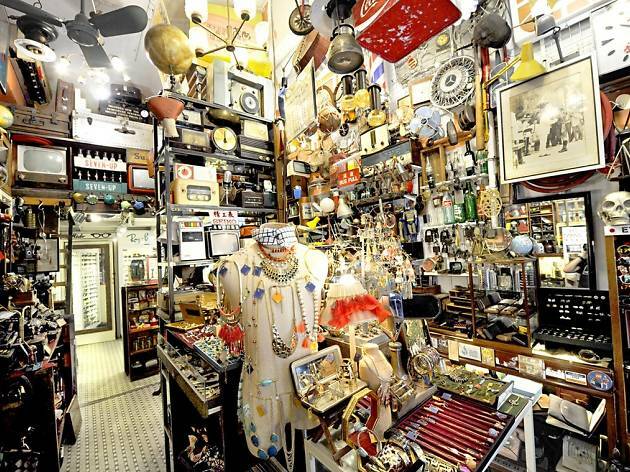 You could also fit in some retail therapy before a gig at the nearby Kitec. 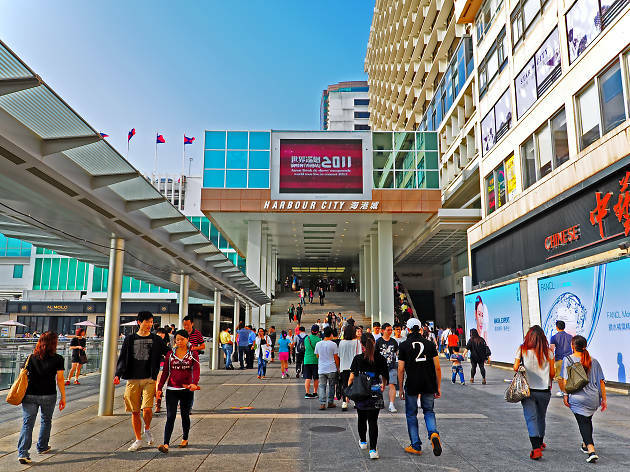 A great hub for shopping, dining and business, Miramar Shopping Centre and Mira Mall double up as a great space for all your entertainment needs in the vibrant Tsim Sha Tsui area. 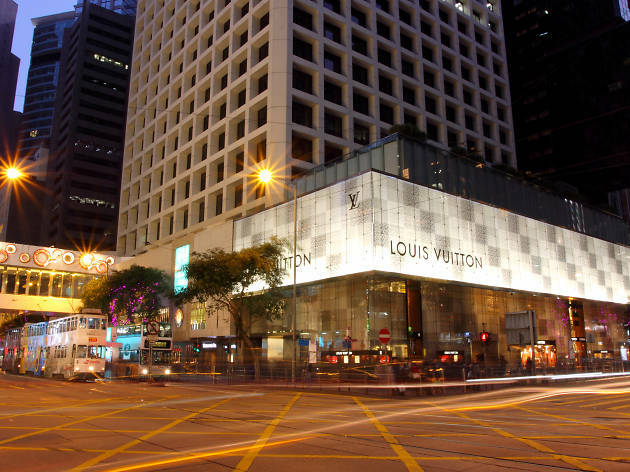 Also attached to five-star The Mira Hong Kong hotel, you can stay in ultimate comfort and style while dining on some of the best food in the city including Michelin-starred eateries. 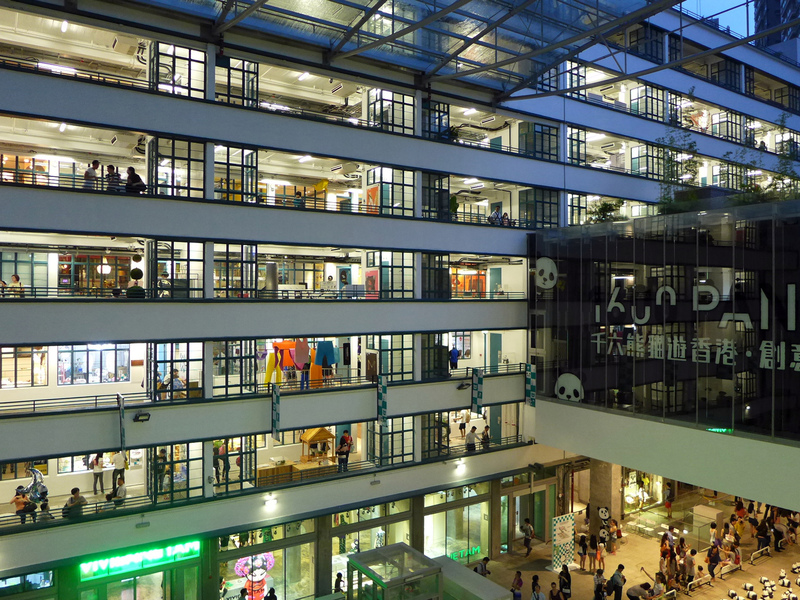 Just next door to City University, Festival Walk is a convenient store to browse through whether you live in the area or are going to study. 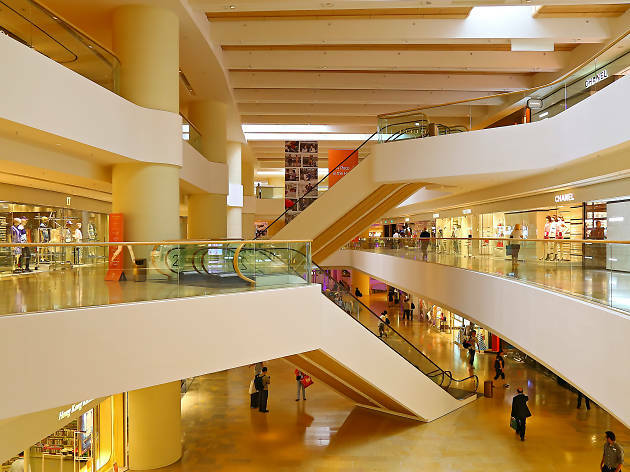 Relax at the various mall cafes or shop your day away with a number of stores and famous fashion brands that would keep any fashionista happy. 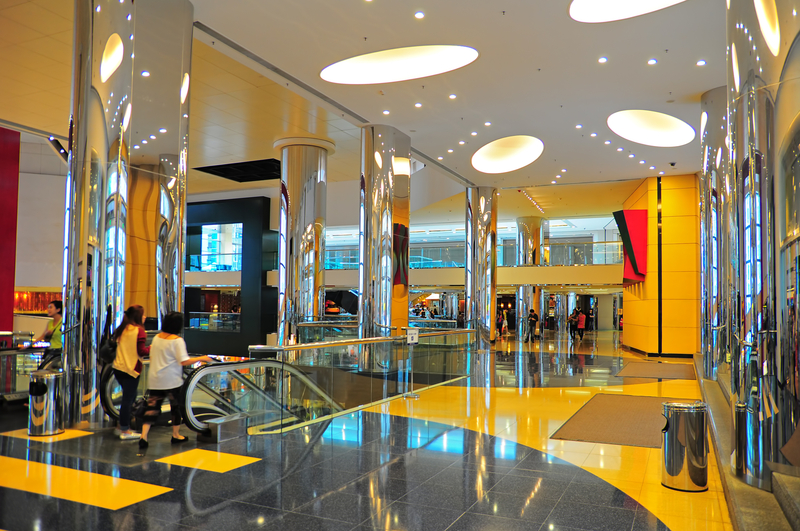 Hang out in the heart of Sha Tin at New Town Plaza. Whether you’re visiting the area or passing by for the races, it’s the perfect spot to grab a bite to eat with friends and family or to satisfy some much needed shopping therapy. Looking for something different? Head outside to level three and enjoy Snoopy‘s World – a fun experience for those who’d love hanging out with the world famous Peanuts gang. If you work or live around Diamond Hill Plaza Hollywood is your best bet for all your shopping needs. There’s even a wide range of restaurants and cuisines to choose from if you don’t feel like cooking at home. Looking for entertainment? Look no further than the Plaza Hollywood Cinema where you can watch today’s latest flicks from around the globe. The mall is also a short walk away from the Chi Lin Nunnery where you can take it the picturesque views. 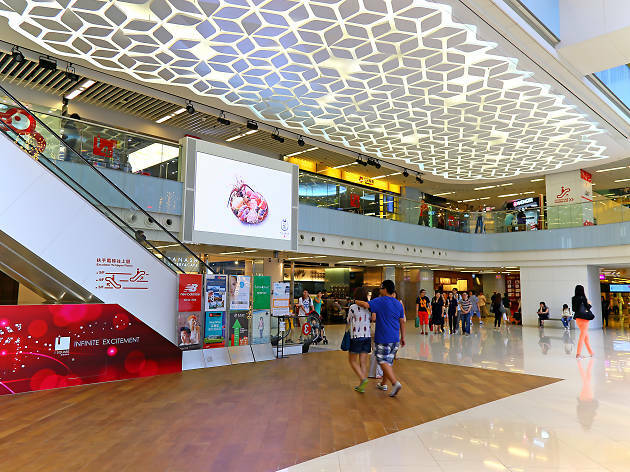 Attached to Tseung Kwan O MTR station, PopCorn is a stylish hub for those who want to do a bit of retail therapy or catch the latest Hollywood flick. 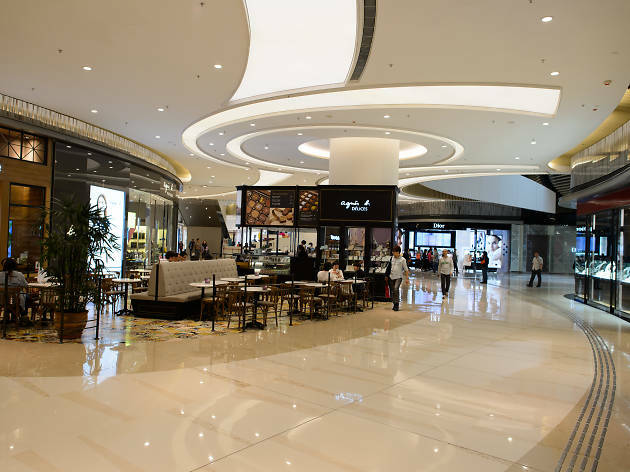 A mall is not complete without a good selection of food and snacks and PopCorn is no exception, offering a range of tasty cuisines suited to any palate. 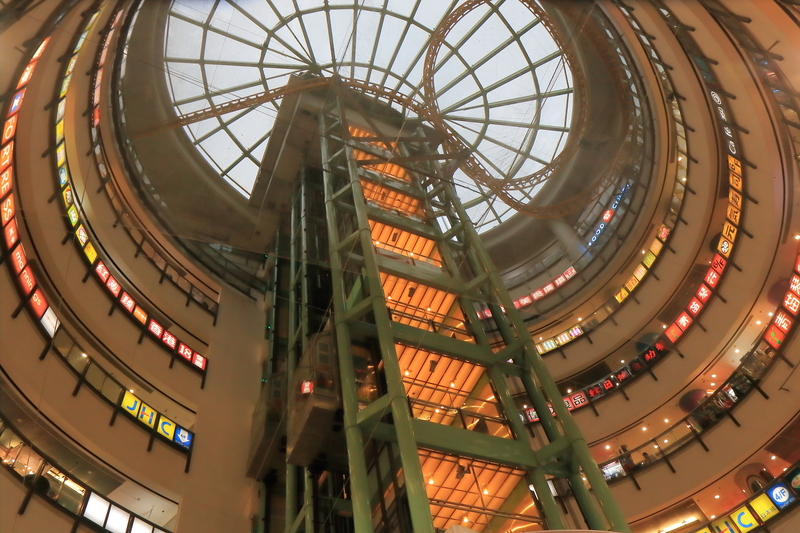 If you’re ever all the way up in Yuen Long, stop by Yoho Mall to get your shopping and dining fix in a fashionable and comfortable setting. 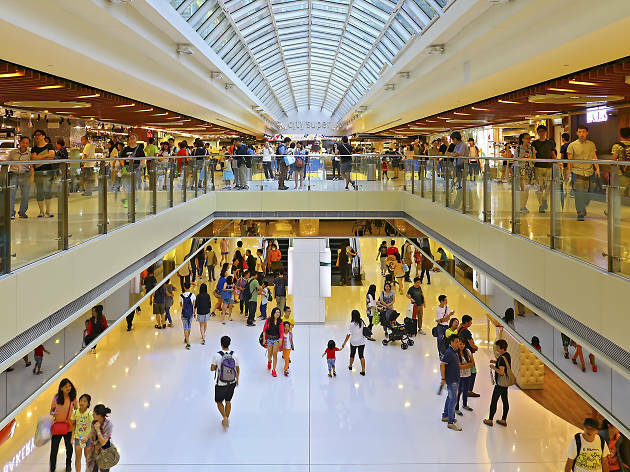 Don’t forget to keep up to date on the mall’s events and offerings for shopping and dining deals you won’t be able to pass up. 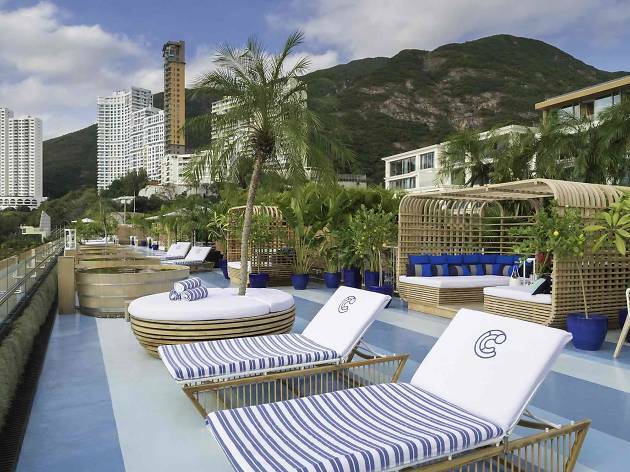 Soak in some beach vibes at this laidback mall situated in Repulse Bay. Take in the sight of the sea as you dine al fresco at one the many restaurant offerings, or take a yoga class at Pure Fitness with the most serene views. 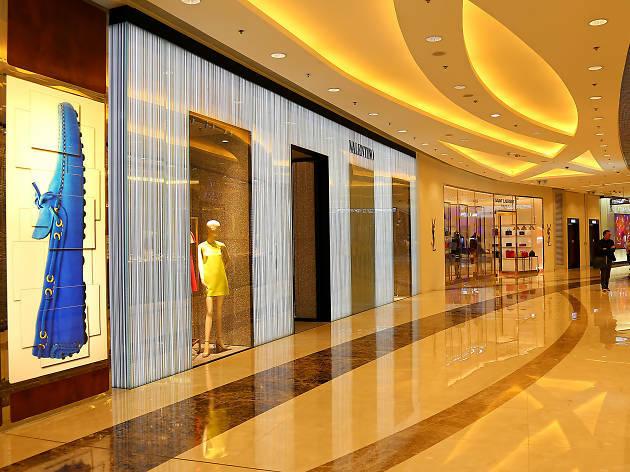 Hop on into the mall for an AC break or check out the stylish boutique offerings for some quick shopping. The mall is also pet friendly, so feel free to bring your furry friends along! Spend some time on Hong Kong’s south side and visit Stanley Plaza – Hong Kong’s very first dog friendly mall which boasts stunning views of the sea in a semi-alfresco setting. 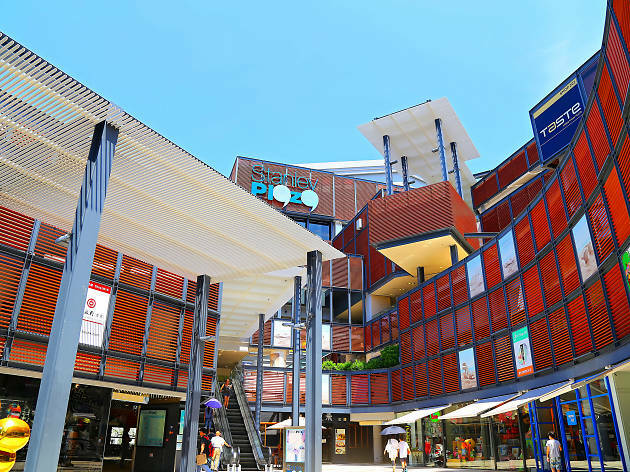 Stroll through the various shops around the mall or sit back and relax at one of the many restaurants that they have to offer. It’s the perfect escape from the busy city! 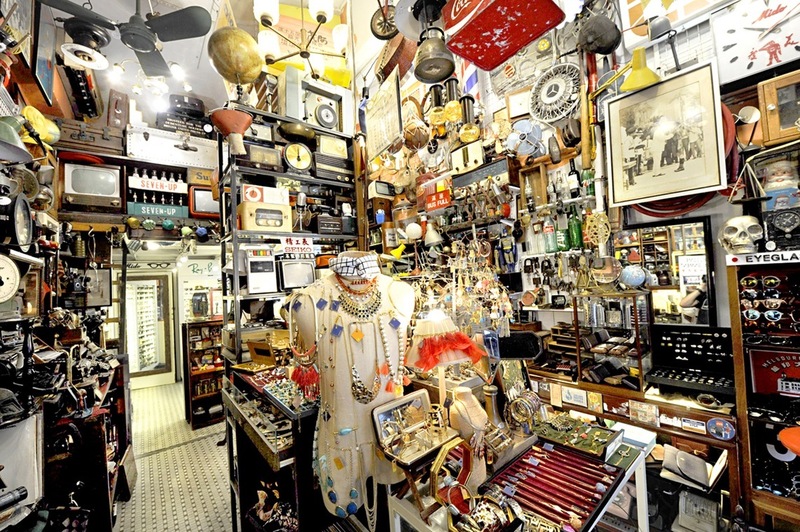 Hong Kong has a fantastic range of small, independent shops that are perennially interesting to browse and which fly under the radar. Here’s a list of all best ones out there.